Mainers for Health Care wants to ask voters to require the state to accept federal funds to expand MaineCare, the state's version of the federal Medicaid program. 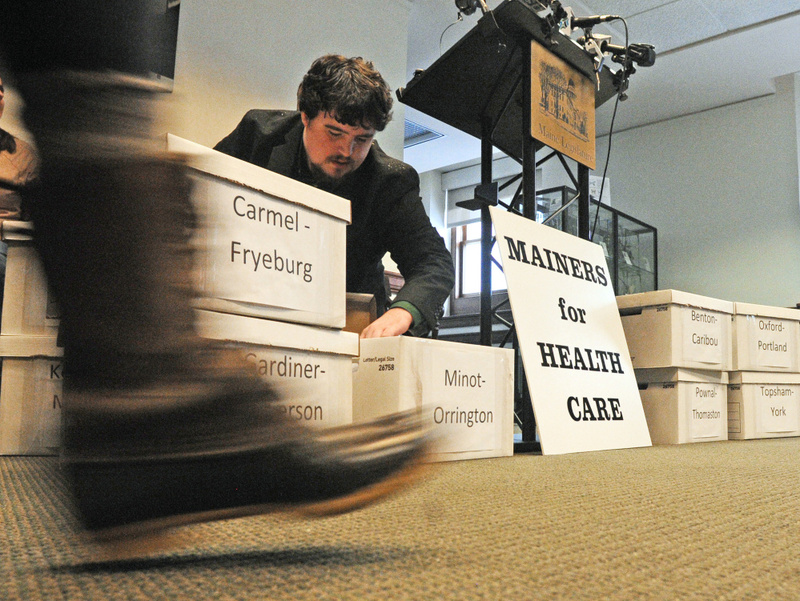 A group that hopes to expand Medicaid in Maine turned in more than 67,000 signatures Wednesday to the secretary of state in hopes of getting a question placed on the November ballot. Mainers for Health Care wants to ask voters to require the state to accept federal funds to expand MaineCare, the state’s version of the federal Medicaid program. Similar bills have passed in the Legislature in recent years, but Gov. Paul LePage vetoed them. And LePage’s newest proposed budget would tighten eligibility requirements further, reducing the number of people who get health insurance through the program. The Maine Republican Party issued a statement Wednesday saying that the ballot question may well be “a moot point and waste of state resources” because of anticipated federal changes to the Affordable Care Act, also known as Obamacare. 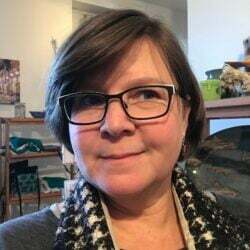 “We are likely witnessing the introduction of a referendum that would have no effect other than misguided demands that Maine taxpayers would be saddled with, and potentially, even more welfare costs,” said Nina McLaughlin, GOP communications direction, in a news release. 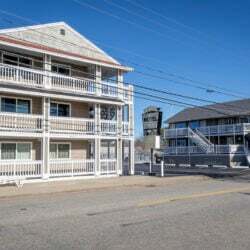 On the other side, House Speaker Sara Gideon, D-Freeport, released a statement saying the ballot measure would boost the state’s economy and help more people get access to health care. 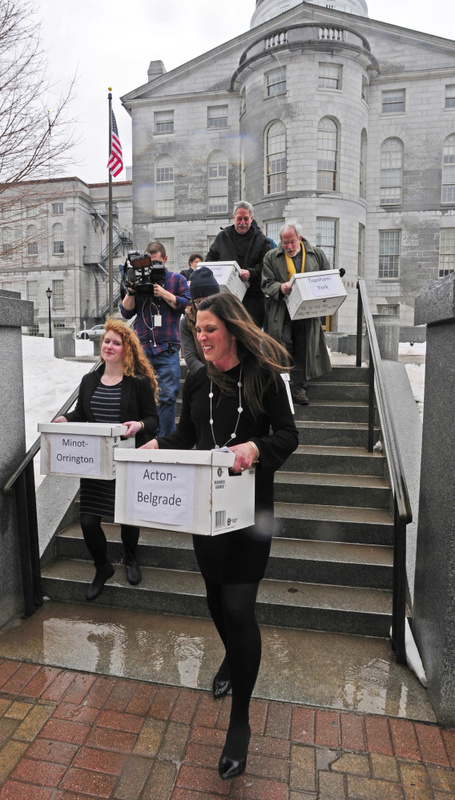 Following a State House news conference, volunteers delivered boxes of signatures to the state. 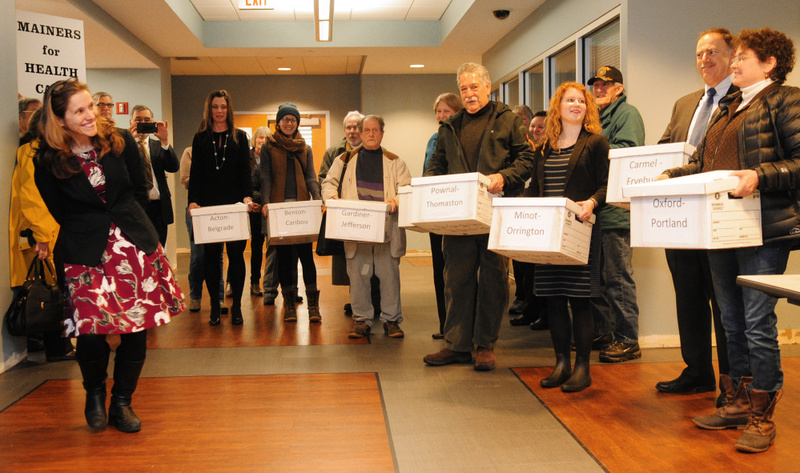 For the proposal to appear on the ballot, the validity of 61,123 signatures must be confirmed.